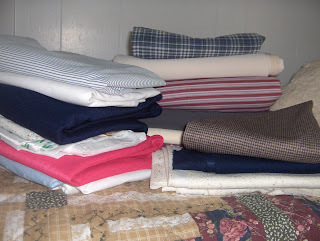 We were recently given a large amount of fabric which has been quite a blessing. 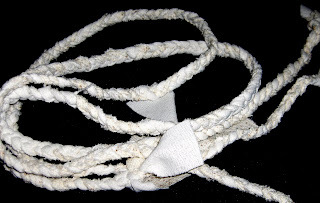 Some of it is very old fashioned, but we came up with the idea to use it to make braided rugs. :) While I've never tried this particular craft, my sister made it look so easy [smile] that I thought I would try as well. 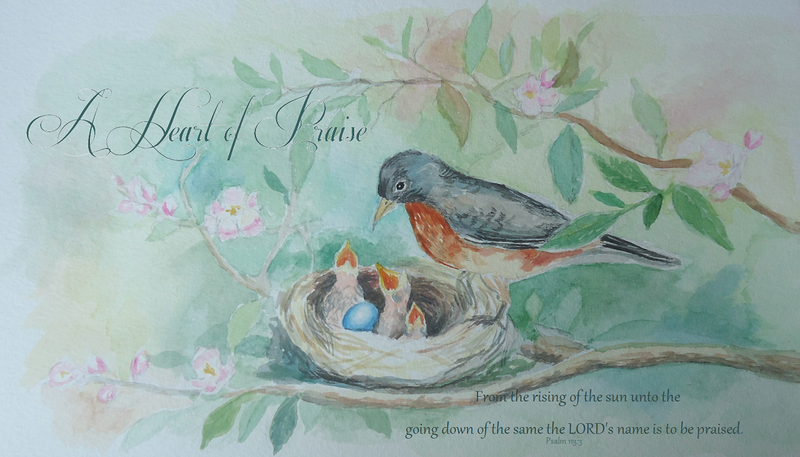 With so much going on lately I haven't had much time to devote to it but I hope to find more time soon. :) All I've done so far is to cut and braided a few pieces... Has anyone else ever tried making rugs? 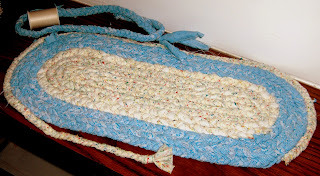 I'm interested in trying to make crochet fabric rugs as well as braided. How fun! It looks like both of them are coming along nicely! Braiding rugs is something that I would love to learn how to do! Are there any instructional books that you would recommend? What types of fabrics are you using? Thank you so much for answering my questions, Emily! I will have to look for that book . . . thank you again! Looks like fun! Maybe I'll try it sometime.